I attached an incorrect receipt and need to detach to do the “Missing Receipt Affidavit”. If you do not have the option to detach the receipt then please follow the below steps. In available expenses click on it and unmatch and move back to the report and continue with the “Missing Receipt Affidavit”. If not successful then continue to #3. In the available expenses click on the expense and delete and confirm. It should then unmatch from the CC Transaction and then you can move the CC Transaction (orange CC symbol) back onto the report and continue with the “Missing Receipt Affidavit. Why can’t I install the Concur App? What does the error “You are not allowed to submit Cash Out of Pocket Expenses for reimbursement”? This means that you tried to submit a receipt or expense that has not been matched to the credit card transaction. The expense must have the blue icon for the receipt and also the orange icon for the credit card transaction . To correct this, you need to remove the expense from the report and match it or attach it to the credit card charge. If the credit card charge has not posted in Concur yet, you will need to wait until the next week to submit the expense on your report. What are the different methods to get my receipts into Concur? Retake – you can retake the photo if needed. Expense – You can create an expense from the receipt. Ensure the vendor, date, and amount match the credit card charge. Once you do this, you will still need to match the receipt to the credit card transaction once it has been posted. If you try to submit the receipt expense only, you will receive the error “You are not allowed to submit Cash Out of Pocket Expenses”. Concur will try to match the receipt to the charge automatically. If not, you will need to manually match it in the expense list in the web app. There is currently no process to match expenses on the mobile app. If the expenses are already on the expense report, delete both the credit card charge and the mobile receipt from the report. Select the box in front of both the mobile receipt and the credit card transaction in the Available Expenses section. Click the Match button, this will match them together as a Smart Expense (right-hand side of the page). Click the Import button at the top of the Available Expenses. The Smart Expense will be imported into the report as a single line expense. Done – This will save the receipt to the Receipt Store (Available Receipts). You will then need to attach the receipt to a credit card transaction. You can take a photo of the receipt with your phone’s camera or scan on your laptop and email to receipts@concur.com. This will automatically send the receipt to your available receipts. Your email must be verified in Concur first. You can use the ExpenseIt Pro app. Click here for more information. You can scan your receipts on your laptop and attach them to the credit card charge in the web app. Why don’t I see my credit card charge in Concur yet? The credit card charge first has to get posted to the JP Morgan system and then sent to the Concur system. This could take on average 2-5 days, and sometimes longer. Additionally, JP Morgan does not send any data to Concur on Sundays or Mondays so it could take longer over the weekend. How do I add attendees to a Business Meal or Entertainment expense in the Mobile app? Tap on the expense in the expense report. 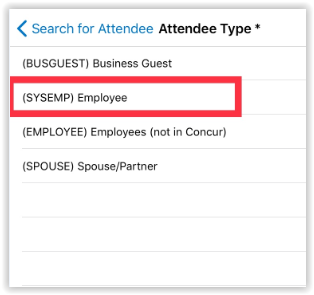 If you have added the attendee to a previous expense report, tap Search for Attendee start typing the attendee’s name in the Search field. Once the attendee’s name appears, you can click on it to add to the expense. 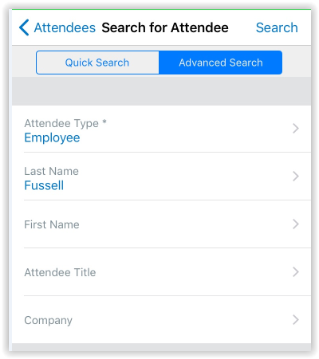 If the attendee is a Sunland Employee that you have not selected on any previous expense reports, tap Search for Attendee , then tap the Advanced Search button. Select Attendee Type of Employee (Note: These will only be employees that are Concur users). Type in part of the name to search and click the Search button. Once the name is displayed, click the checkbox to the left of the name and click the Add To Expense button in the bottom right corner. 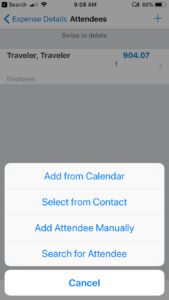 If the attendee does not appear in the employee search or is not a Sunland employee, you can either tap Add from Calendar or Select from Contact on the mobile device. 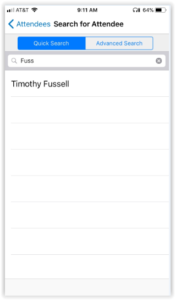 Otherwise, tap the Add Attendee Manually button and add the attendee. The expense amount will be distributed equally among all attendees. How do I add attendees to a Business Meal or Entertainment expense in the web app? Click on the expense in the expense report. If you have added the attendee to a previous expense report, start typing the attendee’s name in the Search Recently Used field. Once the attendee’s name appears, you can click on it to add to the expense. If the attendee is a Sunland Employee that you have not selected on any previous expense reports, click the Advanced Search button. If the attendee does not appear in the employee search or is not a Sunland employee, click the New Attendee button and add the attendee. 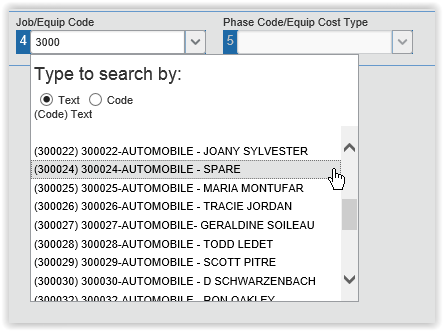 Why can’t I find my equipment code in the drop down list for the expense? Type in all or part of the code and the list will narrow and you should then see your equipment code. Click on your equipment code in the list to select it. If you type in the full equipment code, you will need to press Enter, not Tab, to go to the next field. How can I delete an incorrect receipt from an expense on an expense report? Only the person that attached the receipt can delete the receipt. If the employee added the receipt, the expense report would need to be sent back to the employee to detach/delete the receipt. Click the Receipt Image tab at the top of the right window. Click the Detach From Entry button in the bottom right corner of the window. You will be prompted to confirm the request – click Yes. 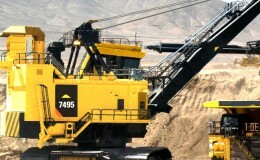 This error will occur if you have set the Related = Job or Equipment but have not entered the Job or Equipment code. You will need to check the coding at both the report header level and the expense line item level. To edit the report header on the mobile app: Click the report in the Expense Report list, click the report header at the top of the page. What is the Concur Audit Service? Pass with Exception – the report is passed and the employee receives an informational email which includes the exception details. No further action is required. Fail – The report will be sent back to the employee. This should only occur if the receipt does not match the expense. How often do I need to submit an expense report? If you have expenses, you should submit a report once a week by Tuesday afternoon. Any posted credit card transactions along with their receipts should be submitted on the report. You can turn on/off your email notifications by clicking on Profile –> Profile Settings in the top right corner of the home page and then clicking Expense Preferences. Is there a policy on what class of airline ticket to purchase? Yes, our policy states that an employee will fly coach class so the receipt needs to indicate which class was purchased. If the class cannot be determined, the expense will be approved but flagged as an exception. The itemized receipt listing each charge needs to be attached to the expense. How should fuel be charged? Fuel should be charged to G&A or to a job/phase code, not to the equipment code. Premium gasoline is not allowed. What needs to be done in Concur for Business Meals expenses? Both the detail receipt listing the individual meals along with the summary credit card receipt should be attached. When taking a photo, you can take one photo of both receipts side by side. How do I code car washes for my company vehicle? Car washes should only be charged to a job if the vehicle is getting excessively dirty and we are required to clean it for some reason (entering or exiting locations, plants, etc. ), or at the end of the job and it is excessively dirty. How do I code charges for my personal vehicle? Any charges related to your personal vehicle (this is only in pre-approved situations) should be coded to Expense Type = Personal Vehicle Maint/Repairs with Related = G&A or Job. 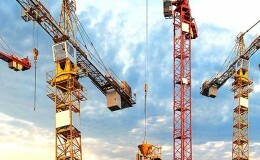 If Related = Job, then you will also need to select the job code and phase code. How do I code charges to company vehicles or equipment? Any charges related to your company vehicle or equipment should be coded to Expense Type = Company Equipment/Vehicle Maint/Repair with Division = 35, Related = Equipment, along with the equipment code and cost category.